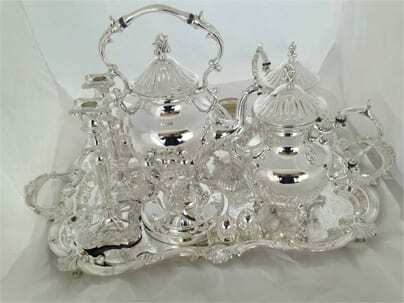 Full silversmithing service: repair – polishing –electroplating. 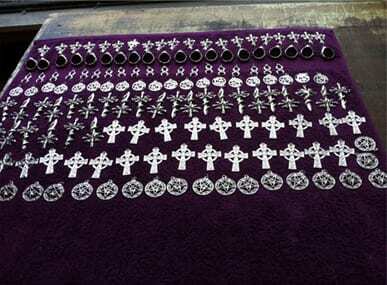 Our services include polishing and restoration of sterling silver, electro-plated nickel silver (EPNS), pewter, brass, copper etc. 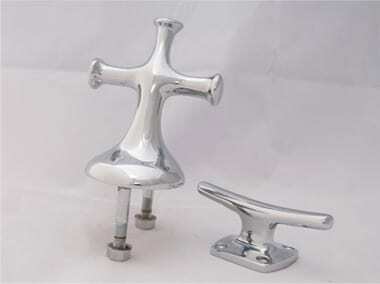 Polishing & Electroplating of all home renovation hardware, including: window latches, window handles, window hinges & screws, letterbox numbers & flaps, door hardware, bathroom & kitchen fittings. Electroplating, recoating & metal polishing services for bathroom & kitchen renovations & builds, including: taps and faucets, pipe fittings, bath & sink wastes, plugs, & all other fittings. Get your boat looking great & protect it against corrosion and excessive wear. Re-chroming, electroplating & polishing of: winches, scuppers, bollards, cleats, turn-buckles etc. Brass recoating, re-galvanising etc. For large commercial runs, and small renovation projects – electroplating of screws & household fastenings. 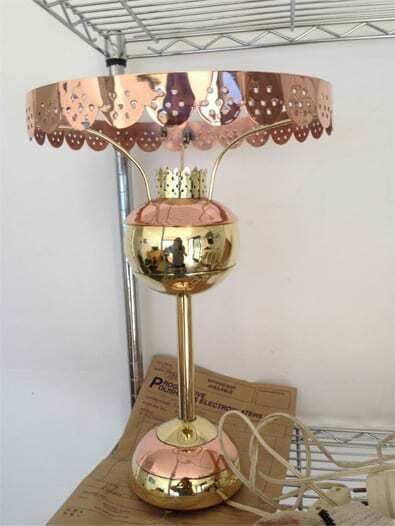 Copper plating, brass plating – almost any metal matched. Classic car parts restoration work, hot rod restoration work and muscle car accessories restoration. 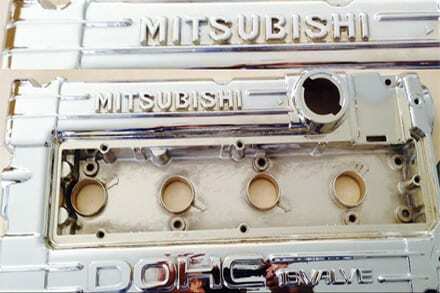 Recoating & polishing of bumpers, rocker covers, air intakes, exhausts, door handles. For bars, cafés, & restaurants – have your front-of-house metal surfaces looking clean, bright & sparkling like new. Signage, foot rests, stools, counter areas; all metals, including brass, copper & stainless steel. Silverware re-plated & polished. For schools, sporting clubs, one-off mementoes, or sentimental awards or heirlooms – we’ll restore your tarnished silverware so it shines like new. 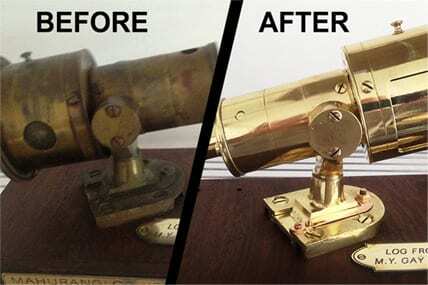 We are metal restoration experts. 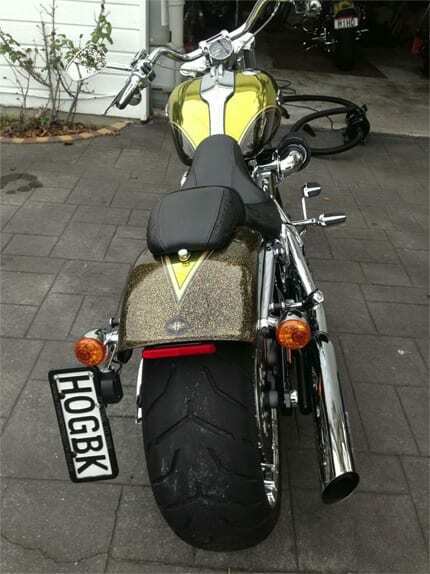 We can polish and recoat most metals to have them looking like new. Extensive range of metal colours & finishes. Progressive Polishers and Electroplaters provide full electroplating, and metal polishing and finishing services to commercial and residential clients. 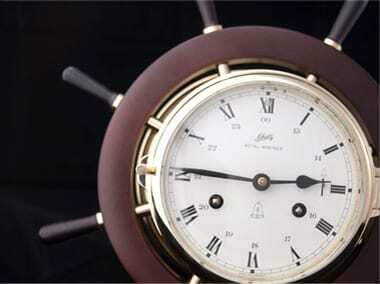 From large industrial electroplating runs to the polishing of a family heirloom, no job is too big or too small. Our metal stripping system removes rust, corrosion, &coatings without causing damage to the base material, allowing many metal articles to be restored to as-new condition. Over time metal can become discoloured & damaged – regular cleaning,or a remedial clean, will ensure it’s kept in the best condition possible&always looks like new. 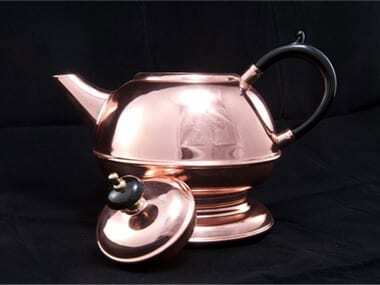 We specialise in polishing silver, gold, aluminium, brass, copper, bronze, stainless steel, zinc, & steel. 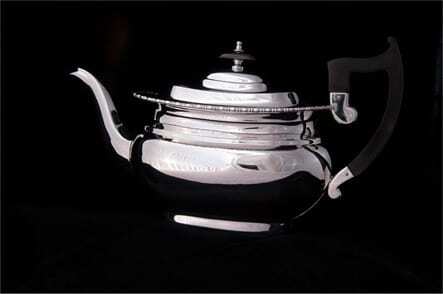 No matter how tarnished it looks now, we’ll have it back to sparkling. We electroplate almost any metal with almost any metal finish – including steel, cast iron, stainless steel plating, brass & bronze plating, copper plating, aluminium plating, & zinc di-cast. We offer a full repair &restoration service for most metals including sterling silver, electroplated nickel silver (EPNS), pewter, brass, copper etc. Including trophy & heirloom repair. Metal protection and restoration is what we do! 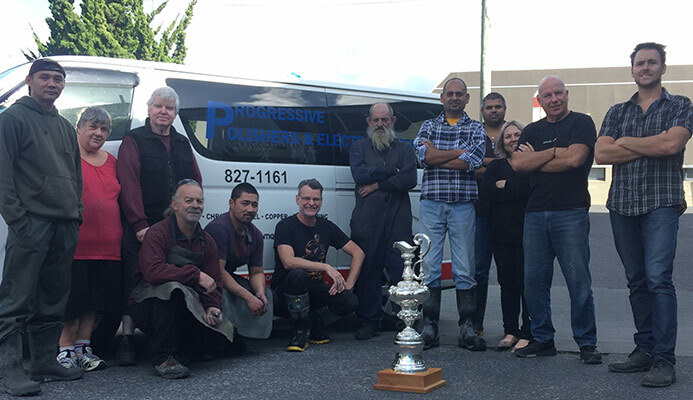 The team at Progressive Polishing and Electroplating is one of the largest and most experienced polishing and metal plating teams in Auckland. We already serve a number of large and small commercial businesses with their metal polishing, electroplating and barrel plating needs – we would love to add you to our client list. Contact Progressive Polishers and Electroplaters to get a quote for your metal restoration project. No item or job is too small for the team at Progressive Polishers and Electroplaters. Whether you are having a tidy-up around home or doing an entire house or villa renovation, we can polish, lacquer, re-plate and restore anything metal.